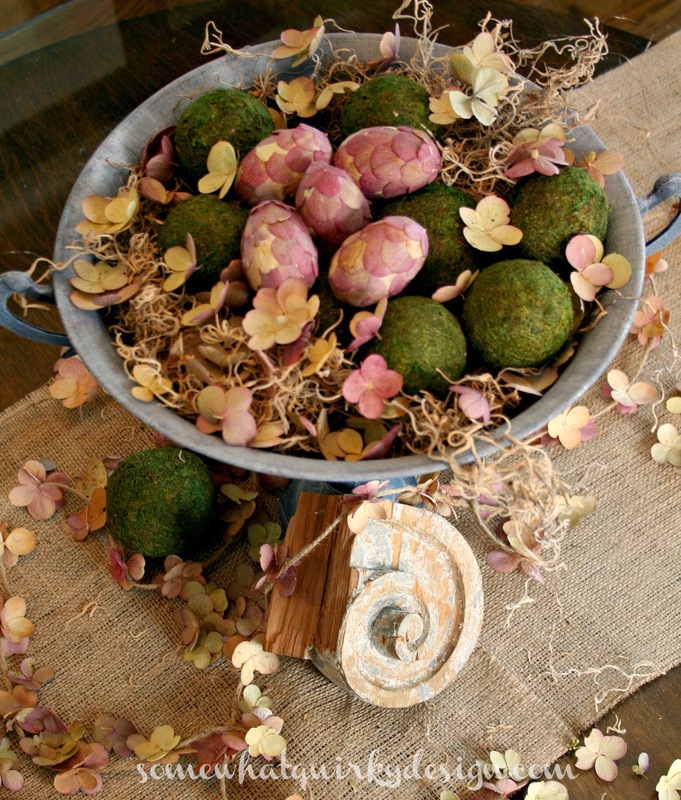 Quickfire Hydrangea petal Easter eggs. I like them because they show the backs of the petals - which are typically prettier than the fronts. I also tried this with regular hydrangea petals. Once again proving the superiority of the Quickfire Hydrangea. I made a little Easter vignette with them. 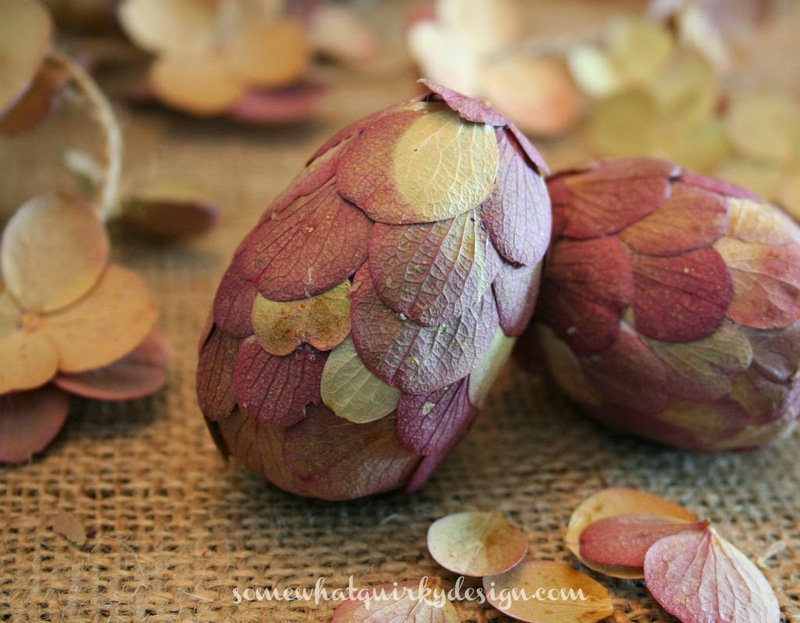 Labels: Easter, hydrangeas, spring, spring decorating. Your eggs are beautiful, but you have to explain to this dummy what quickfire hydrangeas are. They truly are lovely! Perfect for Easter and for spring! I have two hydrangeas in my yard. Being the 'gardener' that I am, neither plant has grown above 2-feet tall. Does that make them 'puny-fire' hydrangeas? These eggs are fabulous, and the arrangement you've placed them in is first class. I am now beginning to think you are kidding us with the quickfire hydrangeas. Are they really real? And this strong? The eggs look fantastic with the moss. So darn creative and cute, wow, I still have time to make a few for myself. I see you are going to the Midwest bloggers party, I couldn't see when you live? I'm going and will be so excited to finally "meet" you! Truly stunning. So lovely for Easter. So beautiful. Thanks for sharing at Wow. Featuring these this week. Absolutely beautiful. What a fabulous spring statement!